Coconut oil seemingly has reached the status of a superfood. It is used in baking, entrees and desserts. It is even used in moisturizers, hair conditioners and for treating sunburn. 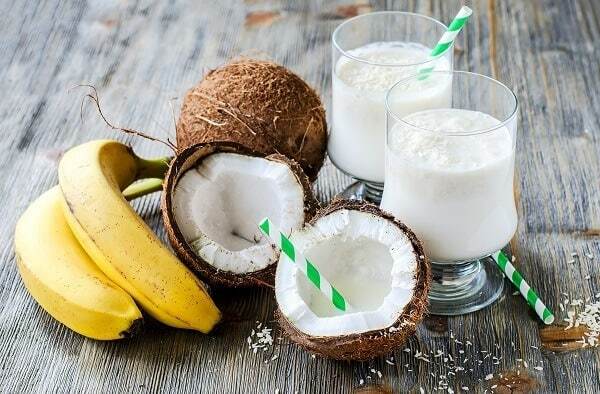 We are now seeing smoothie recipes containing coconut oil becoming common. What makes it such a superfood, so popular and why should we use it in smoothies to boost their beneficial properties? The fat content of coconut oil is mainly three medium-chain fatty acids, around 90% in fact. With this type of combined fats, a triglyceride, is easily digested and is sent straight to the liver for processing. That means it isnot stored in the body as fat, and immediately helps with energy production and boostingyour metabolism, which makes it great for weight management regimes. It is also reputed to help the immune system. And that’s not all; it is antifungal, antibacterial, antiviral and antimicrobial. It is good to have heathy fats as part of our diet since it helps our bodies and particularly our thyroid to work correctly. If they are going well, we feel better. Just the stuff to add to a smoothie to increase its beneficial effects. A simple way to add it to your smoothie is simply to add one or two tablespoons to your favorite smoothie recipe. Be aware that it will change the texture of it and add a hint of a tropical flavor to the smoothie. You will probably need to experiment to find the best combination for your taste. A tablespoon of coconut oil is around 120 calories, so you will need to take account of that if you are on a calorie-controlled diet. One thing you may come across is that when added to cold ingredients, coconut oil tends to “clump” up and ruin an otherwise lovely smoothie. Contrary to its name, coconut oil is a solid. The estimated melting point for coconut oil is around 75° Fahrenheit, or 24 Centigrade. If your smoothie ingredients are less than that temperature, then there will be clumps of coconut oil in it. The amount of clumping is also related to how much oil you put in the smoothie. As you would expect, the more oil, the more clumping. Heat the coconut oil with warm water. Hold the jar under the tap if it’s warm enough or put it in a pan of warm water. Do not use a microwave (try it once to see what happens and why you should never do it again). Put the amount you want into the blender first, and then add the rest of the ingredients. You must add the oil first or the anti-clumping process does not work. Blend away until you have a good creamy texture. 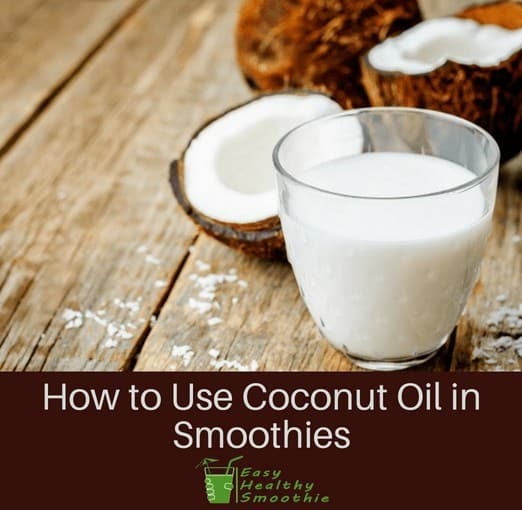 The medicinal benefits of coconut oil are well known and if you can experiment to create the correct proportions it will be a beneficial addition to your smoothies. 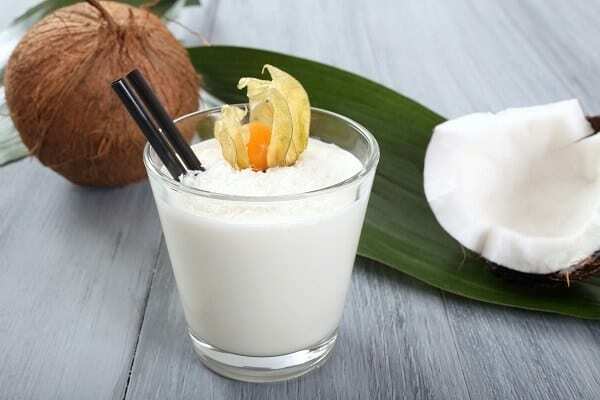 Another great option is to go for coconut milk. Here are my favorite coconut milk recipes.